Will White Birch Builders build on my lot? It usually takes 3-4 months after you sign a contract to get your new home built. Can I make changes during the construction? Yes. We like to have you visit the site periodically as your new home is being build so you can visualize what is going on and let us know if you'd like any changes. What are the steps in designing a custom home? The first step is meeting with an architect, finding a plan to meet your needs and making any changes to fit your lifestyle. Then...you find out if the plan you selected (and your changes) fits your budget. White Birch Builders will then file for a building permit - this takes about 2 weeks. Once we receive the building permit, we start construction on your new home. We would be happy to provide you with references upon request. Why should I work with White Birch Builders? 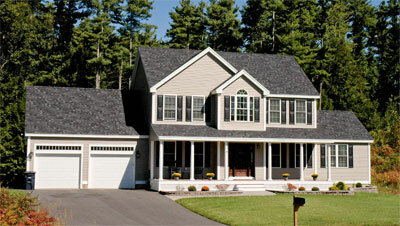 We have over 30 years of experience in building new homes with quality workmanship. Isn't this the quality of home you deserve? © Copyright 2018 White Birch Builders Inc.